Divorce parties are a developing trend. Divorce parties have very little defining etiquette surrounding them. Divorce parties are for both men and women. Everyone reacts to their own divorce differently. No relationship is exactly the same as another, so it becomes difficult to generalize and come up with statements that fit every situation. Many can find the experience to be emotionally taxing and may find themselves with residual feelings for their ex-spouse. Others may find the situation to be a momentous occasion worthy of being celebrated. There is a recent trend that is developing among those who are experiencing a divorce, and it involves throwing a party. Individuals who have experienced a divorce look to a party as a way of marking a celebratory moment in their lives and acknowledging their newfound freedom from an unhappy relationship. This trend was highlighted recently in news reports with the story of Jeff Becerra and Michelle Mahoney, who had been married for 24 years and recently divorced. During their marriage, the couple threw a variety of different parties over the years and wanted to have one last hurrah. Part of the intention behind this party was for them to keep their friendship and family as intact as possible. The divorce was a mutual decision, but for these two, it did not mean that it needed to be one filled with animosity or disagreement. It can often depend on whether the ex-spouses hold a party together or not. For those that wish to hold divorce parties without the potential discomfort of an ex-spouse, Therapist Christine Gallagher suggests that it is perfectly okay to throw your own divorce party. She said that part of scheduling a divorce party comes from a personal level, when you feel like you are ready and in need of it. There also is not necessarily a protocol if the party takes place in a public setting, in terms of who pays for it. It just depends on the semantics of how the party gets introduced as an idea and how supportive the friend group involved is with this endeavor. With friends being so heavily involved in the concept, it’s important to keep your prioritizes in check. Knowing what you want and do not want out of your divorce party can help keep the party on track. It can be different, depending on the individual. For example, many people are not interested in smearing their ex-spouse or soon-to-be ex-spouse to their friends. Others like to release all of the elicit details and gossip of their personal life that they shared together. It just depends on the person, and while the individual celebrating their divorce through a divorce party is not in the right or wrong in either decision made, this decision can have social repercussions either way. The culture of these events has taken a life unto themselves. Many people have developed various themes that can have an apropos take on the divorce experience. Some look to be aggressive in their themes, while others may use the opportunity to fundraise for their favorite cause. Many also look to include a cake into the divorce party festivities, and decorating a divorce party cake has taken a life unto its own. Creating one of these cakes also includes the type of decision-making in your priorities that was previously discussed. Hard questions need to be asked. Do you, as the individual facing or having gone through the divorce experience, want the cake to reflect your feelings toward your ex-spouse or the experience as a whole? For those uninterested in cake, this is okay. Everyone’s preference, in regards to a divorce party, is different. Some people find themselves needing advice in planning a divorce party, and there are resources to help. Gallagher penned “The Divorce Party Handbook,” in an effort to help address all aspects of a successful divorce party, including decorations, party etiquette, invitations, games, entertainment, food and drink ideas, and so much more. 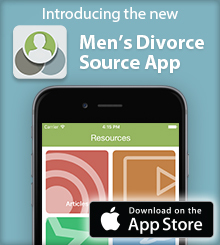 For guys, it can seem like the idea of a divorce party might be considered a concept aimed toward women, and much of the literature and information regarding the divorce party culture would agree with that assessment. However, it does not mean that men who have experienced a divorce cannot have a similar outing, celebrating their new-found freedom. There are many ways that men can celebrate their divorce. It doesn’t just have to be a bar outing or a poker night in with the guys, although it could be. It is whatever you want it to be. You get to have whatever experience you want to have (within the confines of the law) in your therapeutic quest to commemorate the end of your unhappy marriage, just as she does. There is nothing gendered about that.